The Council for Exceptional Children provides support, continuing education and resources for teachers and families of students in special and gifted education programs. CEC establishes high expectations for implementing evidence-based instructional approaches that address the unique learning needs of exceptional children and youth. Additionally, the organization advocates for the exceptional needs population by promoting legislative initiatives to improve professional standards and best teaching practices. Members of CEC have access to a comprehensive collection of educational literature, evidence-based tools and development opportunities in the field. As a result, CEC has been instrumental in helping to develop stronger instructional programs and more highly qualified educators to meet the challenges and demands of educating this population. Since its inception at Columbia University in 1922, CEC has grown to more than 27,000 members in 48 states and six Canadian provinces. Then, as now, desired program outcomes are to increase the opportunities that children and youth with disabilities or special gifts and talents have to achieve educational success. Foundations for programs and initiatives stem from the Council’s plan to give a voice to exceptional needs students in educational and legislative arenas. To this end, the Council for Exceptional Children works collaboratively with lawmakers, families, post-secondary educational institutions, public schools and teacher training programs to shape the policies and practices that will benefit the education of exceptional needs students. As a result, educational policies and laws supported by the CEC, such as 1975’s Education For All Handicapped Children Act and its 2004 re-authorization, the Individuals with Disabilities Education Act, have shaped the classroom landscape for students with special needs. Premier, full and basic memberships are open to all educators and associate memberships are available to families. All three educator tiers include access to publications, information and policy updates, and continuing education opportunities. Members at any level can also consider participating in special interest divisions, which focus on particular career and educational areas such as administration, behavioral needs, diagnostic services, research, autism, communication disabilities, early childhood and learning disabilities among others. Associate memberships provide caregivers with the information and resources that assist them to advocate effectively on behalf of their exceptional needs family member and collaborate with professionals to implement appropriate educational services. As a globally recognized, professional organization, the CEC delivers on its mission to improve education and advocate for the needs of exceptional individuals. 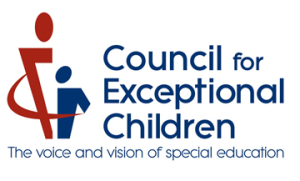 As a result, the Council for Exceptional Children can assist special educators with cutting-edge continuing education opportunities and professional pursuits while helping families with resources and support services to meet special and gifted education needs.